So you want to be an Arcadian! Looking for a unique service opportunity for your business, colleagues, class, or organization? Come out to the farm! 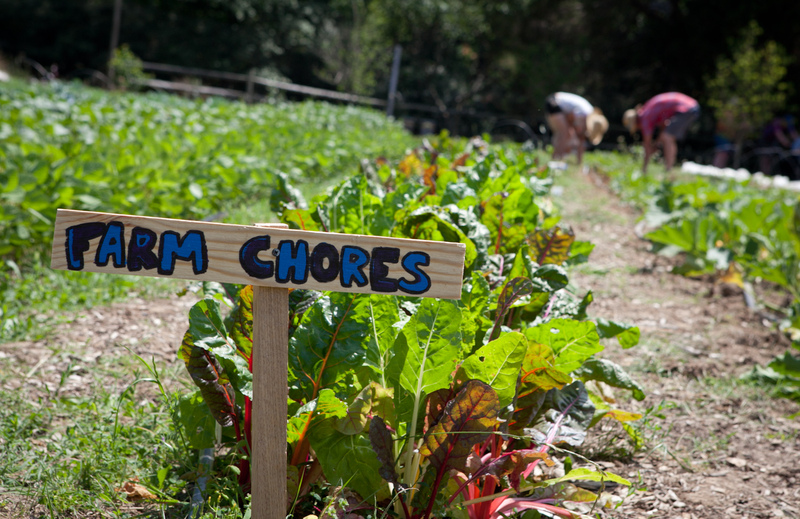 Arcadia Farm can host groups of up to 15 volunteers through our Volunteer Day Program. You’ll be amazed at how much we can accomplish together! We have two farm sites on our property. Dogue Farm is our 3-acre vegetable production and veteran-farmer training site and the future home of the East Coast’s only “Farm from a Box” – an off-grid farm tool kit powered by the sun and controlled by a mobile phone. Farmer Katherine Collins established Dogue Farm in 2016 on an old horse pasture, growing more than 80,000 servings of fresh, healthy food for Arcadia Mobile Market customers in low-income, low-food access neighborhoods around Washington, D.C. It is named to reference George Washington’s former Dogue Run Farm on the same site, which primarily featured a mix of rye, corn and other grains for his distillery. Hilltop Farm is our 1-acre demonstration and educational farm, managed by Veteran Farm Fellow LaRon Murrell, a graduate of our Veteran Farmer Reserve Program and former soldier. Hilltop is a mixed vegetable farm and the site of our children’s experiential Groundhog Garden, as well as the location for field trips and farm camp for 2,500 schoolchildren annually. The Experience: Arcadia staff will discuss sustainable agricultural practices and introduce volunteers to our program areas and mission, including food access, healthy food production, and veteran farmer training. We will provide water, tools, gardening gloves, instruction and oversight. Corporate group volunteers will learn and carry out seasonal tasks that support our farm mission: weeding, building beds, moving compost, building trellises, and clearing beds for first-time planting. Food safety rules limit our ability to harvest with group volunteers. Volunteers should wear comfortable clothes, closed-toe shoes, sunhats, and bring a reusable water bottle. Volunteers may bring work gloves or borrow ours. Dates: We offer On-Farm Group Volunteer Experiences for up to 15 people at a time at both Hilltop and Dogue. Because of its production requirements, Dogue Farm group volunteer opportunities are offered on a limited basis. They can be scheduled on Tuesdays and Thursdays, either from 9 – 12 or 2 – 5 pm. We do not recommend longer workdays as volunteers are typically not accustomed to the heat or level of physical labor. DOGUE FARM: A tax-deductible donation of $1,000. HILLTOP FARM: A tax-deductible donation of $250. REQUEST A GROUP VOLUNTEER DAY by filling out the Google Form HERE. Corporate groups may opt for a project that supports the farm but does not require a farmer’s careful oversight. Arcadia staff will discuss sustainable agricultural practices and introduce volunteers to our program areas and mission, including food access, healthy food production, and veteran farmer training. Your donation offsets the cost of materials and equipment for the project. Clear a bed for sunflowers and other flowers that our honeybees need to be healthy and strong! Turn soil, work in compost, build the bed, and plant the seeds. Cars whizzing by on Route 1 stir up a lot of wind on our vegetable farm. Help our tender crops resist the elements with a wind break of serviceberries and other native shrubs and trees. You’ll dig, turn soil, add compost, and plant trees and shrubs. “The best time to plant a tree was 20 years ago. The second-best time is now.” Help Arcadia grow an edible forest in areas of the farm that are not suitable for row crops. Peaches, pears, apples, persimmons, paw paws, hazelnuts, butternuts, walnuts – planting these trees now will diversify our offerings for years to come. Protect our farm from deer and groundhogs, who like healthy greens as much as we do… and (respectively) can leap 6 feet and dig like a boss. Help build a new compost pile from veggie scraps and wood chips, or hop on top of an existing pile and get a workout! Bring your scraps (fruit and veggies and egg shells only – no meat or dairy) and prepare to get dirty making the next batch of rich, nutritious compost for our farm! Help maintain our historic enclosure on Hilltop Farm! The first Saturday of every month, sign up to volunteer for Open Volunteer Day. This is a great introduction to our two farm sites and our work creating a more equitable, sustainable food system. Tasks may include but are not limited to building beds, weeding, hoeing, moving compost and wood chips, irrigating, tending the chickens, repairing fences, trellising tomatoes, seeding or transplanting. This is a great time to get to know staff and determine if you actually enjoy farm work. Supervised children are welcome. No dogs, please (working dogs excepted). Dates: First Saturday of the Month. Price: Free! Sign up through Eventbrite. Show up at the appointed time (approximately 3 hours before sunset), bring something to share for the potluck, and be ready for dirty jobs. Farm Tonickers do a lot of weeding! PRICE: Free! But sign up through Eventbrite, and bring something delicious to share! For the volunteer who really wants to learn about sustainable farming at the side of a professional farmer, and can commit to working on a regular basis. Additional hours are offered on weekends for discreet tasks, including irrigation, and opening and closing the greenhouse from May to September, and caring for the chickens at Hilltop. You will complete a volunteer orientation, offered on the first Thursday of every month, between April and November. This one-time orientation teaches you basic farm safety, health regulations and the skills that will allow you to participate in critical growing tasks, including harvesting for market. You will volunteer at least 8 hours monthly. Our favorite volunteers come every week on a regular schedule! The Experience: Arcadia seeks Farm Education Volunteers to assist with the Arcadia Farm Field Trip Program which teaches students about the origins of healthy food. Field Trips help students in grades Pre-K-5th make the connection that fresh food comes from the earth through hands-on, farm-based learning. 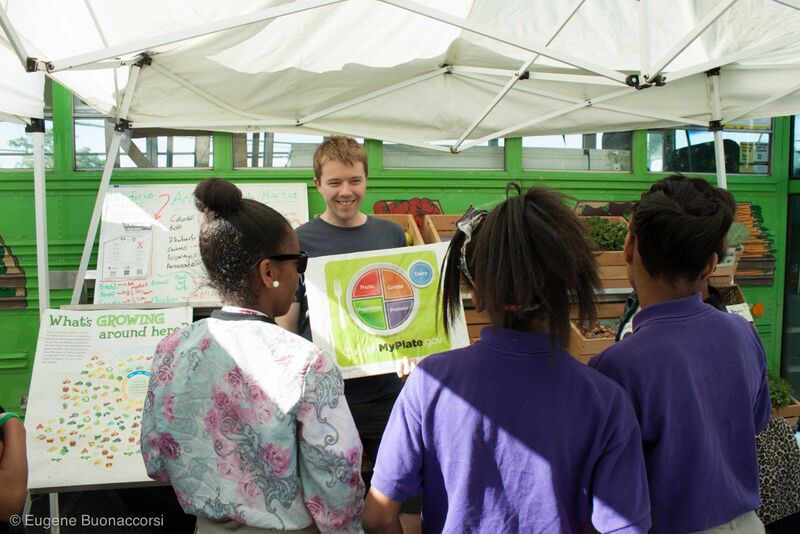 Trips familiarize students with new fruits and vegetables that grow in the DC Metro area so that they will be more likely to eat those healthy foods when they see them in the cafeteria or at home. Farm Education Volunteers help make Field Trips safe, educational and fun. They help monitor the space, provide instruction during trips, and assist with general garden maintenance. Dates: One day/week from April 7 – June 16, 2017. This is a 5 hour/week commitment under the guidance of our Farm Education Director. Volunteer on our Mobile Market, a national leader in food access. You’ll help set up and breakdown the market, assist customers and provide basic nutritional education. The Mobile Market operates Monday through Friday, April 30th through October 30th, at regular, weekly stops throughout Washington, D.C., and Northern Virginia. The market's daily stops will occur every Monday evening, Tuesday evening, and all day Wednesday, Thursday and Friday. Check out the Mobile Market page to view the season’s complete schedule. Volunteers will be asked to commit to one (or more!) market stop(s) for the duration of the season. If you would like to volunteer with the Mobile Market, please email Jeremy Mauck at Jeremy@arcadiafood.org with a letter of interest and relevant work experience. We are looking for an enthusiastic, engaging Mobile Market Education Volunteer. This educator will assist in our efforts to engage students during Mobile Market School Visits to local schools in Washington D.C. and Virginia. The Mobile Market Education Volunteer will help supervise and manage large groups of students; assist with the farm-to-market educational programming, which includes interactive culinary activities, mock farmers' market activities, food systems demonstrations, and plant life demonstrations; and implement systems to gather feedback and evaluate program effectiveness. The Mobile Market Education Volunteer must be available from 8am-2pm on Tuesdays, May 2014 – mid-June 2014. If available, the commitment could be extended from September 2014 - October 2014 for the fall season of visits. The volunteer must be able to travel to the participating schools in Washington, D.C. or northern Virginia or to the Mobile Market's base of operations in Northeast D.C. If you would like to volunteer with the Mobile Market School Visits, please email Heather Johnson at Heather@Arcadiafood.org with your resume and a letter of interest. Represent Arcadia at local events, meetings, and presentations, or volunteer to help at one of our public programs. This is a great way to get involved with Arcadia and to learn more about what we are doing to change the Food System. To learn about upcoming volunteer opportunities, please join our volunteer mailing list (make sure to check the box for the volunteer list). Farm Dinner: Wear your best gingham and plaid and help us pull off the most fabulous farm event of the year: the Farm Dinner! Offered every fall (and sometimes spring too!) this fundraising dinner is a gorgeous night on the farm working with the region’s top chefs to celebrate all things Arcadia! The Funtacular: Old Fashioned Farm Festival Goodness! Games, donuts, music, a pumpkin patch and learning stations… a great way to involve whole families on the farm! Snallygaster: This annual, massive craft beer festival is a benefit for Arcadia. It will be held Sept. 23, 2017 in DC. Pour beer or work the ticket tent, and have a great day with 10,000 beer lovers! Farmer-Chef Speed Sourcing Happy Hour: This annual gathering of the top farmers and chefs in the DC region matches buyers and sellers of local food, all for the good of the regional farm economy. Come help us get everyone mixing!